Our 2011 ended with a quiz: our last post of 2011 was Stephen Wildish ‘s 1980′s Film Alphabet, a graphic quiz testing our knowledge on pop-culture movies from the 80’s. 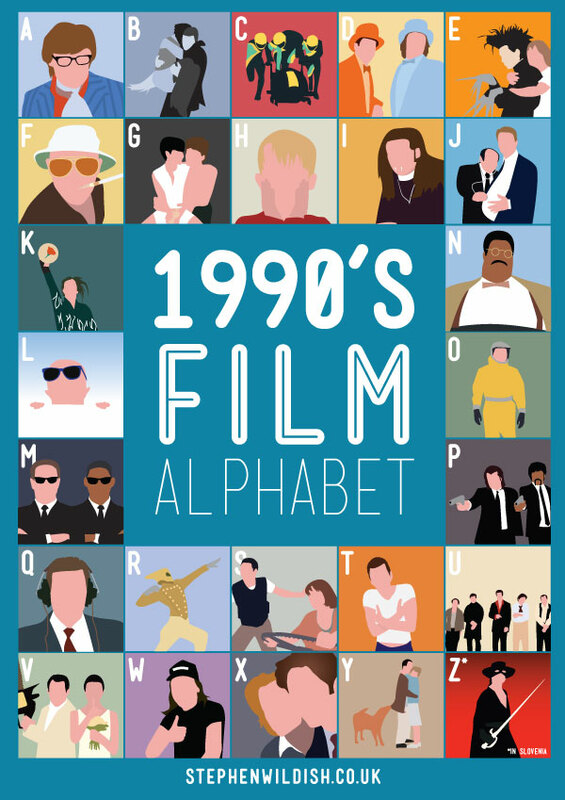 Today’s post is the first quiz of the year and we decide to go with Stephen Wildish ‘s 1990′s Film Alphabet this time. You know the procedure: Each letter and a movie title. You are currently reading First quiz of the year at it's a small web.